We are inclined to agree with him (but then, we are partial). Our children’s imprint, Eerdmans Books for Young Readers, has built its mission around providing high-quality literature for young people (no boogers here!) — including an ever-growing number of books that appeal especially to boys. This month on our website, we’re featuring a variety of these “great books for growing boys.” Here are a few highlights. In this picture book based on actual historical events and brought to life by dramatic illustrations, young Ben has always dreamed of becoming a cowboy. But when he and his family move from the West to New York City, they have to give up their ranch and their horses. In the city Ben feels lonely and homesick for the ranch. But then one day he discovers the Tenth Avenue Cowboys, who ride their horses through the city to warn of approaching trains. He can hardly believe that there are cowboys in the city! Can Ben become one of them? This inspiring tale shows how one boy’s dream helps him learn to appreciate his new home. Update (October 2013): We regret that this book is no longer available from Eerdmans and apologize for the inconvenience. Abraham Lincoln’s love for words — the reading, writing, and speaking of them — began when he was young. Though his early years were filled with hardship and loss, he had a hunger for learning and persisted in his determination to develop the skills he would put to good use later in his life. When Abraham Talked to the Trees offers boys an inspiring glimpse of a historical giant who, when he was young, had to struggle against the odds to learn the skills that they, too, are working to develop. Author Elizabeth Van Steenwyk’s anecdotal story reveals the character of the boy who grew up to be an American president known for his brilliance, wit, and humanity; Bill Farnsworth’s warm oil paintings beautifully capture the time, place, and circumstances of young Abraham’s life. In first book in the Ernie and Maud series, Ernie Eggers isn’t exactly what you’d call a likely superhero — he’s neither a star athlete nor a stellar student. But when a group of aging superheroes goes looking for a new recruit, Ernie answers the call and becomes Extraordinary Ernie (after school on Mondays, Tuesdays, and Thursdays, and all day Saturday). He is thrilled – until he discovers that his sidekick is a sheep. It doesn’t take him long to realize, though, that there has never been another sheep quite like Marvelous Maud. With fun illustrations and engaging characters, this hilarious and fast-paced series about unlikely heroes offers plenty to entertain young readers. When a job opening for a Big Bad Wolf suddenly opens up, Charlie the sheep decides to apply. But he’s barely slipped on the wolf’s skin when he starts to change before his friends’ very eyes, becoming perhaps a bit more wolf (and a lot more bully) than anyone expected. Bettina Wegenast tells this fractured fairy tale of the “sheep in wolf’s clothing” with a good dose of humor and many subtle allusions. The simple, expressive strokes of Katharina Busshoff’s black-and-white drawings on every page perfectly complement this quirky and profound new book, scheduled for release this spring. Based on actual historical events, this adventure story captures the drama of the first submarine used in naval warfare and the struggles of a teenage boy overcoming self-doubt. Set in 1776, as the Revolutionary War is raging, it tells the story of fourteen-year-old Nathan Wade, a patriot who’s too young and too timid to join the fight. 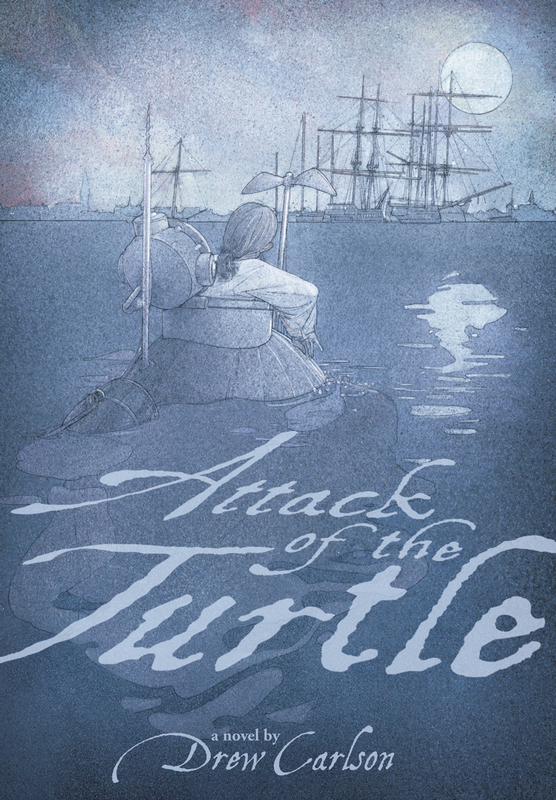 When his cousin David Bushnell comes to town with plans to build a water machine that can explode bombs underwater at the British warships in New York harbor, Nate reluctantly agrees to help David build the weapon of war — dubbed the American Turtle. Although he’s terrified of water and worried about getting caught, when unlikely circumstances put Nate at the center of the action, he must face the murky waters of his fears head-on. In this Dickens-inspired novel, set in the dark underbelly of Victorian London, a boy named Joe scavenges for scraps in the rat-infested sewers of the East End. Viciously exploited by the woman he knows as Mother — a criminal mastermind who controls everything in the boy’s small world — Joe ekes out a living in a city where no one can be trusted. Then a chance encounter with a runaway girl and a “madman” turns Joe’s world upside down. But is it a change for the better, or are things about to get a lot worse for the boy they call Joe Rat? This vivid and fast-paced historical novel will keep boys turning pages till the last. To find more books for boys, click on the banner below.